It is a super-charged political atmosphere out there, and on the national level, at least, there is a lot of contention. Whether it be at that level or anywhere below, the key to good governance is for all people to be involved in the process. President Abraham Lincoln’s words in the Gettysburg Address say it all, “Government of the people, for the people, and by the people…” While American governments, at all levels and in all forms, are conducted by elected officials, government by the people obligates citizens to be involved in the workings of government. Elected officials cannot represent constituents’ needs without their input. In Sun City, residents have three entities — Sun City Home Owners Association, Sun City Fire District and Recreation Centers of Sun City — that set policy for the community. Sun City residents are also represented at the county level by the Maricopa County Board of Supervisors and at the state level by legislators in the House and Senate. All elected officials claim to want to hear from their constituents and encourage their attendance at scheduled meetings. Yet attendance is most times sparse — except when a hot issue is about to come before the bodies. This is typical of most governing bodies. People attend and/or speak up only when there is an issue that touches their lives — and most only speak up if the issue impacts them in a negative way. Residents of all governing agencies are encouraged to get involved by attending meetings and contacting their elected officials to share their views. Meetings are announced regularly in the Independent and through other sources, including organization websites. Scheduled meeting times and contact information for area agencies are listed below. Also listed are elected officials and their contact information. In the absence of input, governing bodies must operate in a vacuum. Supervisors meet 9 a.m. second and fourth Wednesdays of the month, 301 W. Jefferson, Phoenix, Clint Hickman is District 4 supervisor, 602-506-7642, chickman@mail.maricopa.gov. Board meets 9 a.m. fourth Tuesday at the SCHOA office, 10401 W. Coggins Drive, 623-974-4718. SCHOA board: Jim Hunter, president; Lloyd Maple, vice president; Ritchie Miller, secretary; Joseph Janos, treasurer; Greg Eisert; Rick Gray; Art Jenkins; Jerry Walczak; Mary Reimer; Gail Warmath. Board meets 9 a.m. second Monday and 9 a.m. last Thursday in the auditorium at Sundial Recreation Center, 14801 N. 103rd Ave., 623-561-4600. RCSC board: Jerry DeLano, president, jdelano@suncityaz.org; Dale Lehrer, vice president, dlehrer@suncityaz.org; Diana Graettinger, secretary, dgraettinger@suncityaz.org; Sue Wilson, treasurer, swilson@suncityaz.org; Darla Akins, dakins@suncityaz.org; Rich Hoffer, rhoffer@suncityaz.org; Mike Kennedy, mkennedy@suncityaz.org; Dan Schroeder, dscroeder@suncityaz.org; Stella Van Ness, svanness@suncityaz.org. Board meets 9:30 a.m. second Tuesday for special meetings and workshops and third Tuesday for regular meeting at the district headquarters, 18602 N. 99th Ave., 623-974-2321. SCFD board: Dave Scott, chairman; Walter Link, clerk; Jack Leonard; David Mann; Tim Wilmes. Legislature convenes annually beginning in January. District 21: Kevin Payne, 602-926-4854, kpayne@azleg.gov; Tony Rivero, 602-926-3104, trivero@azleg.gov. Legislature convenes annually beginning in January. District 21: Rick Gray, 602-926-5413, rgray@azleg.gov. 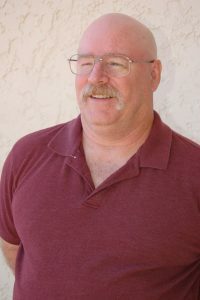 Editor’s Note: Rusty Bradshaw is editor of the Sun City and Sun City West Independent weekly newspapers.